This small porcelain sign is for Golden Cola. The sign is yellow, green, and mint green. 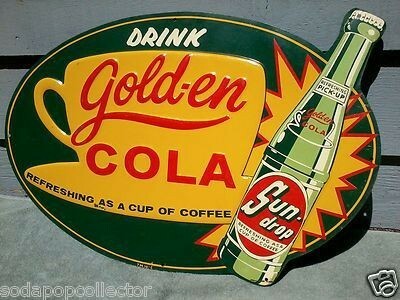 The text reads “Drink Gold-en Cola, Refreshing as a Cup of Coffee.” There is a die cut bottle to the right side.